Summer is almost here and everyone in the office is feeling restless. It has been a long winter and everyone is worn out. You are looking for something to rejuvenate the team, a memorable and engaging event that will bring productivity and fun back to the office. Outdoor team building events can be the perfect solution. As we grow up and find careers, we often lose our ability to open up and have fun. The power of outdoor play is that it brings effectiveness back to the office. 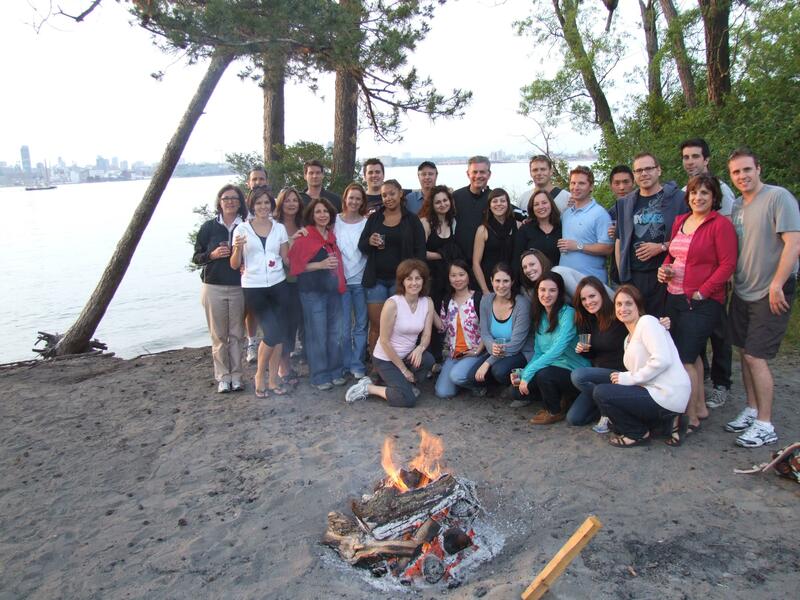 Your team will be relaxed, and team dynamics will be improved after a few hours of fun outdoor activities. Team members have to communicate to achieve goals in the outdoor context. Therefore office projects after such team building exercises will progress rapidly with improved communication skills and team bonding. Colleagues can socialize while learning to work together effectively. Activities do not have to require intense physical skills or be highly technical to be an effective team building session. The Toronto Island Canoe Picnic is an example of a team building event that promotes the power of play without being overly competitive and intimidating. The afternoon involves a short paddle in a 10 person Voyageur canoe over to the Toronto Islands. Next, groups enjoy a picnic lunch on a scenic beach and a stroll down the boardwalk. 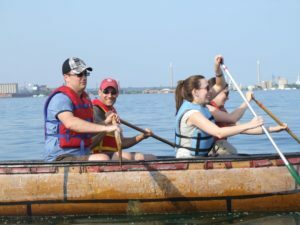 The experience of paddling a large canoe as a group can be powerful, with team members learning to match each others strokes to maximize efficiency. This knowledge is translated into more effective team work and communication in the office. It is also tons of fun, and so colleagues will feel energized and ready to take on new challenges once they go back to work. The picnic lunch also gives team members a chance to bond after successfully achieving a common goal. Summer is a time to reexamine the success rate of the goals you have set for the year. The best way to bring new life to these goals is to bring some outdoor play to the work environment. Team members will leave with a new perspective, and have the mindset and confidence to finish the year on a high note. The Toronto Islands are the perfect setting to make this happen. Book with us today to give your team the start to the summer that they need.